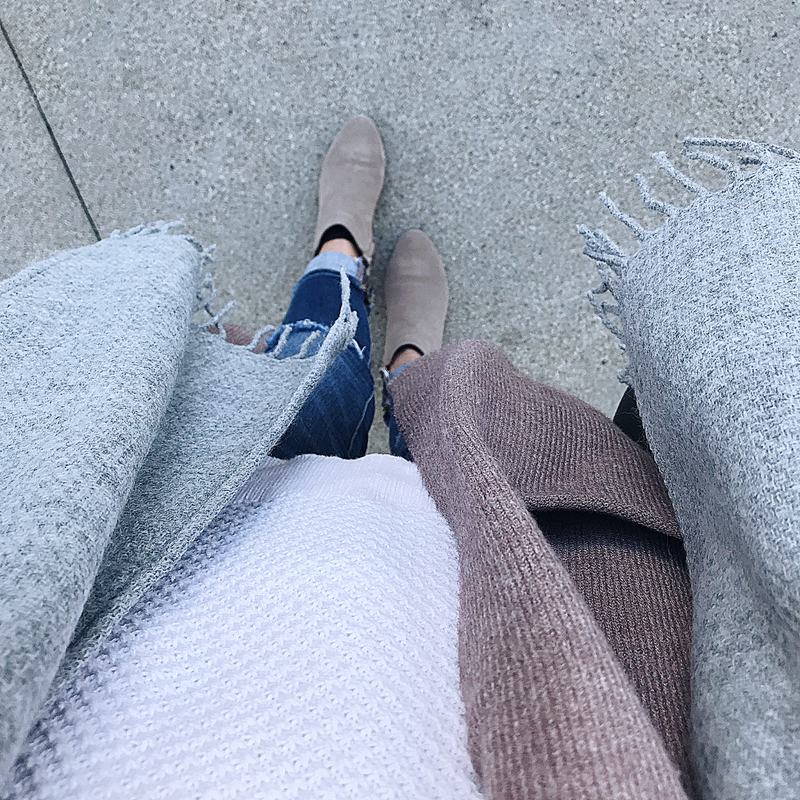 Today I wanted to bring you guys some of my current, cozy Fall layers. It may not be as cold where I live compared to other parts of the world, but every once in a while, the temperatures will take a dip : ) This cardi is so warm and cozy, it’s perfect for Fall. Plus, it has pockets, has the perfect amount of stretch to it, and is under $50. The scarf is also a great Fall/Winter piece, especially with it being at $30. The white textured sweater that I’m wearing is from Loft and has the cutest button details at the top. I’ve also been wearing these booties on repeat lately. I love the color of them plus they are water proof. Details below.